1. Hold bags up to direct sunlight and check for areas of non-conformity in texture and color, other areas of weakness. 2. Seam Quality – Fill bags with sand and drop onto a hard floor from 0.5, 1.0 and 2.0 meters. 3. Seam Quality – Cut the bag open at all but one of the seams, pull on the sides of the “opened” bag to determine the seam quality. 4. Fill with water/sand and hang for a prolonged period of time. 5. Take just one face of the bag, and rub/pull on the plastic to determine overall strength. 1. Analytic testing to determine if the material used matches the approved material composition. 2. CONEG testing to ensure bag complies with CONEG heavy metal requirements. Depending on the product and the export market, it can be a must. 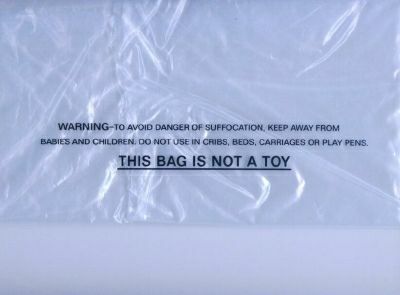 This printed warning prevents children for playing with such polybag. It is also convenient to have holes, 2 or 4 depending on the size of the polybag, in order to avoid suffocation if kids paly with the bag. A small pack of dessicant inside prevents humidity inside the polybag. The proper warning DO NOT EAT in several langages must be printed on it. The simplest way, a piece of tape joins the 2 edges of the polybag to close it. It may damage the polybag when removing though. The edge of the polybag includes a band of adhesive tape, the polybag can be easily opened and closed, several times if needed. It is usually used with small items. Both edges of the polybag are pressed and heated in a machine in order to get them melt. It is a one time use only, once opened it cannot close again. The p[package or product is inserted in a machine that envelops it with a polybag, then the machine heat the polybag to perfectly fit to the product or package, like a new skin. 2 small parts on top of the polybag fit into each other to hermeticly seal the polybag. Frequently used in the kitchen to prevent air from coming inside the polybag to fridge or freeze food. For big items like mattresses or blankets, the polybag may have a zip fly. KatCheung is a professional packaging-bags manufacturer in China, we manufacture and offer high quality Plastic / Nonwoven / Paper / PVA / PVOH / Canvas bags and bag accessories around the globe. 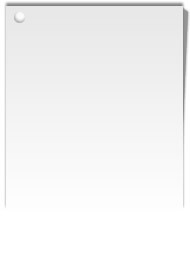 We also focus on bio-degradable eco-friendly packing materials and water soluble and fully bio-degradable products. KatCheung is sincerely looking forward to cooperating with you in development of a green world. KatCheung Bags Manufacturing Co., Ltd.